Are the Major World Powers Blundering Toward War? 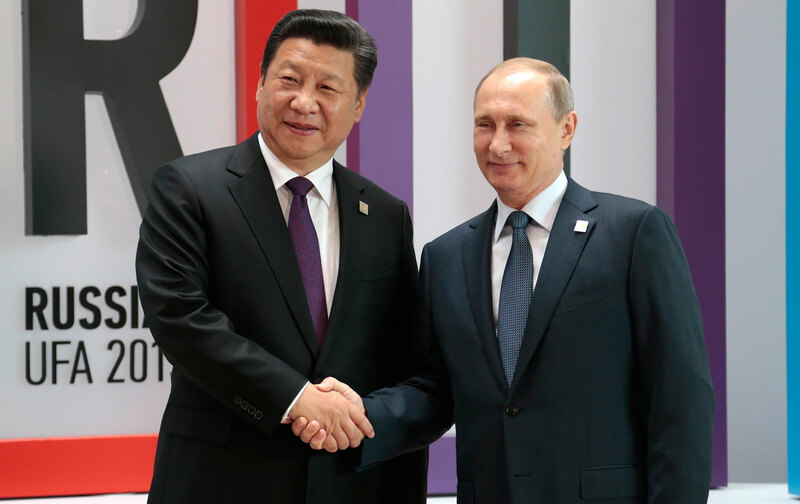 The US, Russia, China, and others are playing a dangerous game of military provocation. That’s exactly how World War I started a century ago. Whether or not we have slid into a “new Cold War,” as claimed by Russian Prime Minister Dmitry Medvedev at the Munich Security Conference on February 13, we certainly have entered a period of escalating provocations, with China, Russia, the United States, and other major powers testing one another’s resolve through a series of military feints. While usually contained below the level of armed combat, these actions—deployment of bombers or warships in or near a rival’s territory, construction of new military bases in menacing locations, aggressive military maneuvers, and so on—naturally invite countermeasures of an increasingly belligerent sort and so increase the risk of war. Each of these countries has its own reasons for conducting such activities. China, a rising power, seeks to reclaim its historic status as the regional hegemon—which involves testing America’s determination to retain its status as the current hegemon. Russia, a former superpower, seeks to reverse the encroachment of Western powers on its periphery and restore its sway over areas once incorporated into the Soviet Union—a drive that inevitably entails clashes with NATO and its new members in Eastern Europe. The United States, still the world’s sole superpower but weakened by the bruising wars in Iraq and Afghanistan, seeks to repel any further challenges to its global paramountcy. Washington’s dilemma is further complicated by the 2016 presidential election, with all the Republican candidates and Democrat Hillary Clinton calling on President Obama to act more assertively in addressing these challenges. While none of these actors, at home or abroad, wish to provoke an actual shooting war, all seek to demonstrate “resolve” and “toughness” (words we’re hearing a lot in the campaign) by engaging in military actions short of war. This jousting for political and psychological advantage takes various forms. In the East China Sea, China has declared an “air defense identification zone” (ADIZ) over a group of uninhabited islands (called the Diaoyu by China and the Senkaku by Japan) and threatened military action against planes that enter the area without identifying themselves to Chinese air-control authorities. In response, the United States has sent nuclear-capable B-52 bombers into the ADIZ without informing Chinese authorities. Chinese and Japanese warships also engage in near-daily show-of-force encounters—coming close to each other and readying (though not, as yet, firing) their guns—in the waters surrounding the islands. In the South China Sea, the Chinese have built military installations (including airstrips, radar facilities, and surface-to-air missile batteries) on artificial islands they created by piling sand on low-lying atolls; in response, the United States has deployed missile-armed destroyers in close proximity to the Chinese-occupied islands. As part of its “pivot to the Pacific,” moreover, the Obama administration has established a new Marine Corps base in northern Australia and beefed up its military ties with the Philippines, going so far as to negotiate the US Navy’s return to the giant base at Subic Bay, from which it was ejected in 1992 due to widespread public opposition there. In Europe, NATO and Russian combat planes have been playing a cat-and-mouse game in international airspace ever since the onset of the Ukrainian crisis. Typically, Russian bombers and fighter planes fly westward toward the airspace of one of the NATO powers, prompting them to scramble interceptor aircraft and chase the Russians planes off—so far without shots being fired. (Turkey, also a NATO member, did shoot down a Russian plane when it allegedly strayed into Turkish airspace on November 24.) Similar moves are reportedly occurring at sea. In October 2014, an unidentified submarine, believed to be Russian, entered Sweden’s territorial waters, prompting the largest mobilization by the Swedish Navy since the end of the Cold War. This conspicuous parading of military capabilities has escalated to new levels in recent weeks, with decisions by NATO and the United States to further expand their combat capabilities in Eastern Europe. On February 2, Defense Secretary Ashton Carter announced that the Obama administration would quadruple spending on such efforts in the coming fiscal year, raising allocations for its so-called European Reassurance Initiative from $789 million in 2016 to $3.4 billion in 2017. This increase, he said, “will fund a lot of things: more rotational US forces in Europe, more training and exercising with our allies, more pre-position and war-fighting gear and infrastructure improvements to support all this.” A similar initiative was announced by the NATO powers at a meeting of defense ministers in Brussels on February 10. In consonance with the US plan, the NATO initiative will involve the rotation of combat forces into Central and Eastern Europe to conduct military exercises and prepare for possible combat there. Determined to show that it will not be intimidated by any of these moves, Russia’s defense ministry announced a “snap” military exercise on February 8, including ordering troops in its central and southern military districts—an area that includes a stretch of border facing the separatist regions in eastern Ukraine—to full combat readiness. Some analysts viewed this action as preparation for possible intervention in Ukraine if rebel forces there launch a new offensive in the spring; others see it as a warning to Turkey, should the Turks take further action against Russian forces in Syria (like the aircraft incident on November 24). Where all of this will lead is anyone’s guess. At this point, all that can be said with any confidence is that the frequency and aggressiveness of these provocations is increasing, with each party believing it necessary to respond to its rival’s actions with countermeasures of even greater vigor and boldness. History suggests that such behavior tends to create an atmosphere of ever-increasing tension and suspicion, where one provocation too many can lead to crisis, panic, miscalculation, and a resort to arms—exactly the scenario that led to the outbreak of World War I just over 100 years ago. If this outcome is to be avoided, all parties involved should take steps to lower the risk of inadvertent escalation. For example, the Obama administration should rethink its decisions to bolster US combat capabilities on the periphery of Russia, to send B-52s into Chinese-claimed airspace, and to deploy warships in Chinese-claimed waters. But the other parties need to take reciprocal actions as well. Secretary of State Kerry should build on the example set by the Syrian cease-fire and engage in intensive dialogue with his Russian and Chinese counterparts to reduce tensions elsewhere. Disagreements will persist on many issues, but these need not be accompanied by the kind of muscle-flexing whose only outcome can be a more precarious and dangerous world.